“Feldenkrais is the most sophisticated and effective method I have seen for the prevention and reversal of deterioration of function. We’re condemning millions of people to a deteriorated old age that’s not necessary”. …things happen in our lives that manifest themselves physically in all kinds of ways. …maybe typing–or playing your instrument–for several days in a row leaves you with knotted shoulders, or lower back pain. Is there something you love that you don’t do anymore because it causes you problems? Perhaps you have given up tennis, horse riding, or running, due to persistent injuries. Perhaps your back aches if you spend too much time at an art gallery, or browsing in a department store. Perhaps you catch sight of an unexpected reflection of yourself and are startled by changes in your posture, and maybe you sigh, and think “I must be getting old”. The sad thing is the way so many of us accept these steady deteriorations as an unavoidable part of life; for most of us these problems can be eased or even eradicated over time, by tackling the day to day limitations we place on ourselves without even being aware of them. Feldenkrais is notoriously difficult to describe, and we teachers tend to develop several overlapping descriptions so we can tailor our explanations to each particular listener, which is of course an appropriate strategy for a method so carefully designed to adapt itself to the needs of the individual. I like to describe it as an anti-ageing process–so many of my trainers were older women, full of vitality, and still able to somersault forwards or backwards with little preparation! 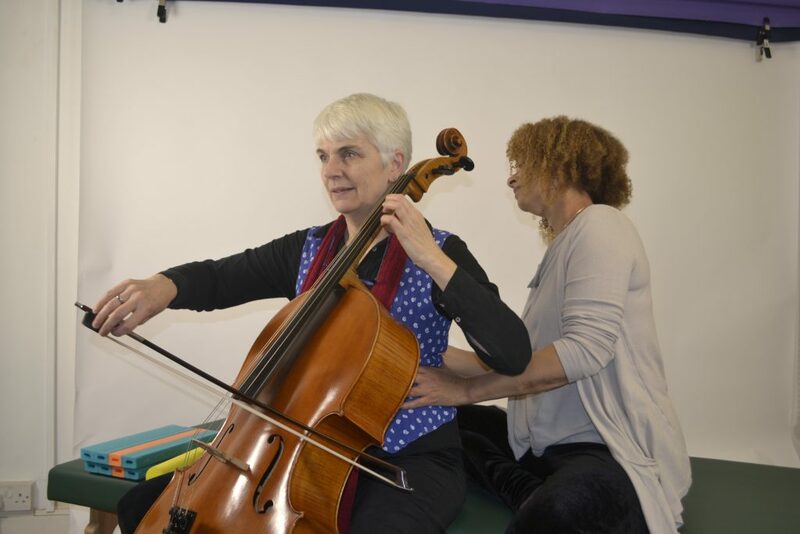 One of my teachers, Ruthy Alon, has posted a series of videos on youtube that she made of herself in her sixties demonstrating the extraordinary mobility that her commitment to Feldenkrais has given her. It is completely understandable that people tend to come to me for private lessons in Functional Integration (FI for short) only once they are already in serious pain, when it is usually the case that the crisis they are experiencing has been building for many years. It is also a pity that they may have spent a lot of money already on methods that have been a partial success, and may thus feel unable to commit to regular one-to-one lessons, when this method might give them their best chance of maintaining the improvements they have already made through osteopathy, physiotherapy or other structural techniques. Do not misunderstand me, I am not saying that these methods are not valuable, or effective–when they are completely successful then of course that person does not seek me out in the first place–simply that Feldenkrais does something else, and that something else can actually protect you from the physical deterioration that most people take for granted as they get older. One-to-one Functional Integration lessons use sensitive, highly focussed touch to stimulate new ways of being and using yourself, communicating with your nervous system through your skeletal connections, which subtly encourages chronic contractions in your muscles to switch themselves off. Improvements are usually noticeable by the end of your first lesson and I will encourage you to be aware of the differences, and will give you mini ATM patterns to explore at home to help you retain the changes you are feeling. You are learning a new way to be, unravelling your old habits, layer by muscular layer. There is no speedy route to establish these beneficial changes in self-use, and consistent improvement will come with regular awareness practise, and through committing yourself to focussing on your continuing personal growth. Fortunately new students can usually tell pretty quickly that the method is working for them. As I mentioned, people tend to book private lessons only once they are injured, in chronic pain, or have developed a condition from cumulative misuse–conditions such as RSI, Housemaid’s Knee (Bursitis), and Tennis Elbow–but it is so much quicker, easier and cheaper to prevent these problems than it is to cure them, so please consider coming to me for a short series of lessons before a problem has become fully established, when you are still just getting the warning twinges. I am always happy to negotiate an affordable fee if that enables you to make a regular commitment, so don’t hesitate to talk to me about concessions. Because this work is about improving sensory-motor awareness it is also effective for people with more serious problems with the nervous system such as Multiple Sclerosis, Parkinson’s Disease, or brain injury (including Stroke and Cerebral Palsy). You are always welcome to call me for a chat without feeling ready to make a decision. In order to enable you to experience the cumulative benefits of the work I have several package rates for batches of lessons available. Next Next post: Sitting Well–Or Everything You Know About Posture Is Wrong!